"Quality Control starts with quality raw materials." We do not use recycled wheel weights, recycled batteries or melted down plumbing pipes. 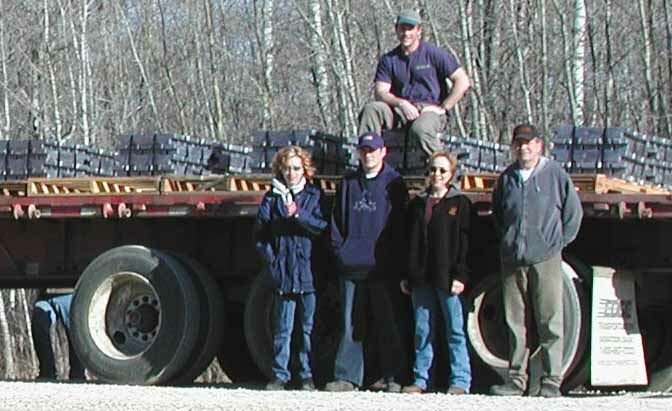 Our lead is 99.9% pure and comes shipped 45,000 pounds per truck load direct from the mine in BC, Canada. All the same lot number; front to back, top to bottom. This is your assurance that the bullets you buy today will perform the same as the ones you bought last year and the same as the ones that we hope you will continue to buy next year.